My grandchildren really like pretzels. Do yours? They like the straight ones, the curly ones and the large pretzel sticks, which we sometimes eat for lunch with peanut butter to dip them in! So today when they were over we decided to try our hand at making homemade pretzels from scratch. They turned out good, not perfectly shaped, but quite tasty. And the kids were proud of their individual creations! 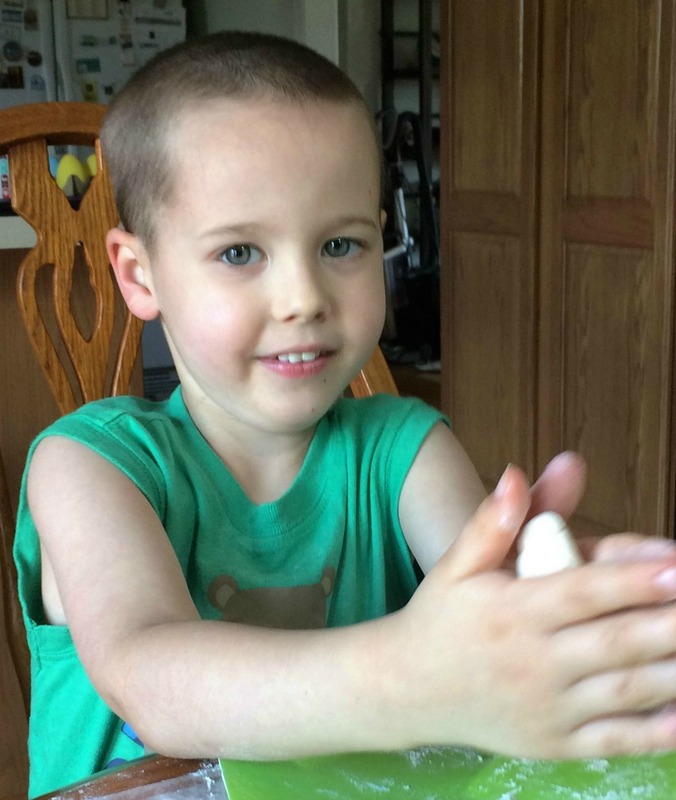 Baking is something I really enjoy doing with my grandchildren. Not only is it fun and relationship building, but it’s good for kids in other ways as well. It helps to build self confidence, builds math skills and teaches a life skill, just to name a few. 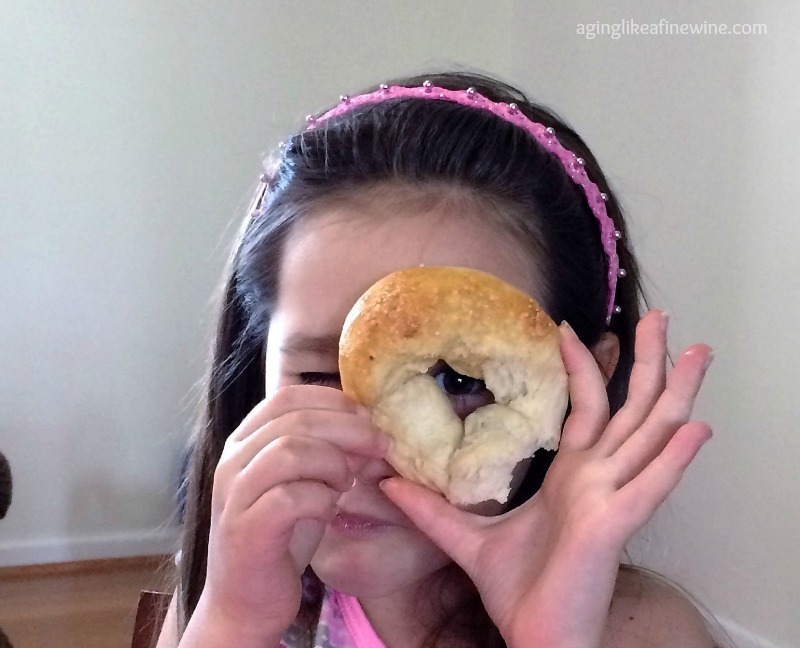 Enjoy making these homemade pretzels with your children or grandchildren soon! Thank you for reading, pinning and sharing! 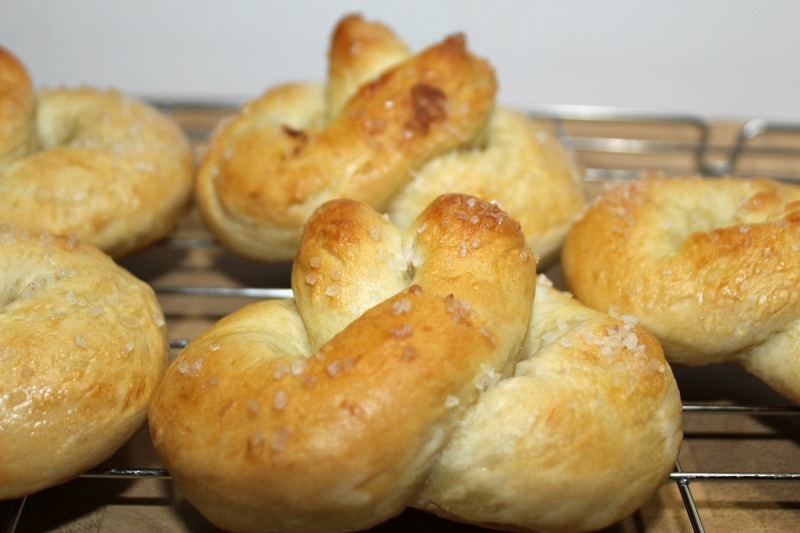 Place dough on a greased baking sheet about 3 inches apart and shape into a pretzel. Looks like fun! Thanks for the recipe! Making them was fun and eating them was even better! Thank you for your kind words Donna! 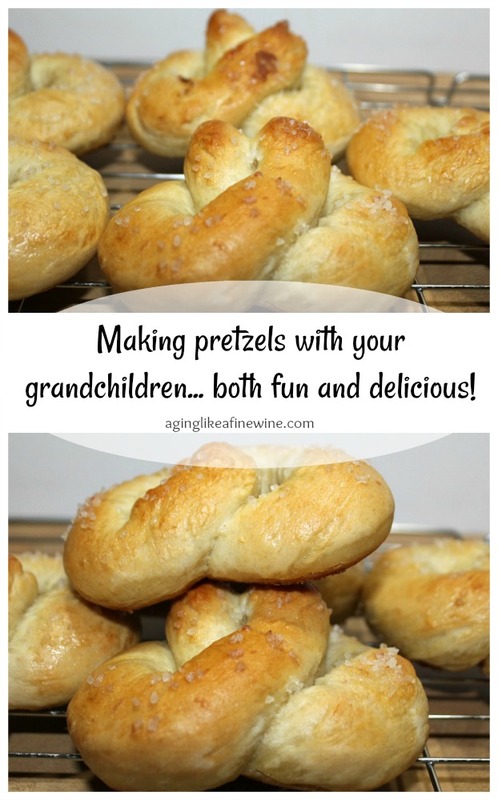 Teresa, my grandchildren and I also love pretzels, but we haven’t tried making them ourselves–yet. Thanks for co-hosting #BloggingGrandmothersLinkParty. Thank you Christie! 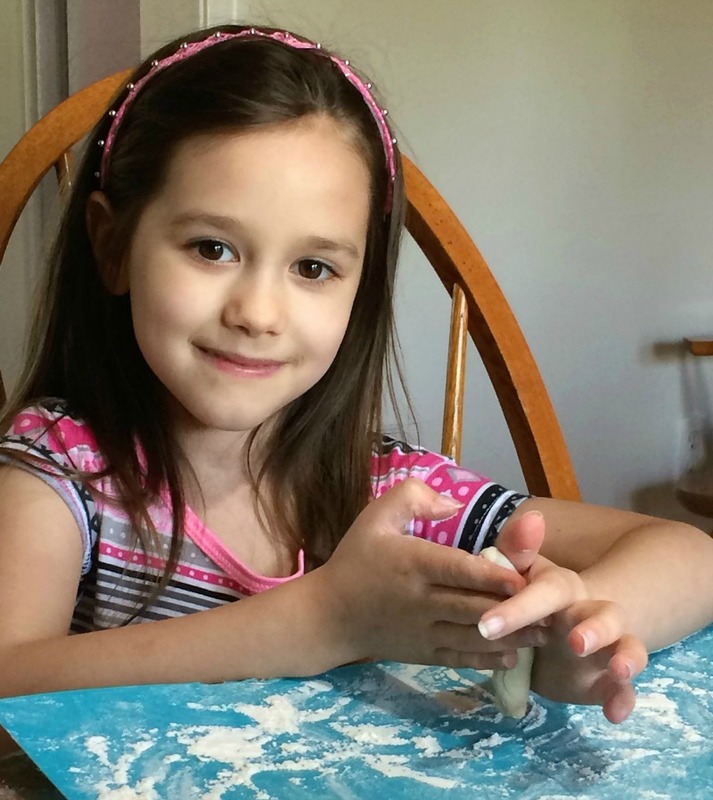 My grandchildren had a wonderful time with the kneading, rolling and shaping. Give it a try with yours! That certainly is a fun afternoon and such a lovely way to spend time with our grandchildren. It is great to have you link up with us at #BloggingGrandmothersLinkParty and hope to see you next time. I’ve shared on social media. Thank you Sue! 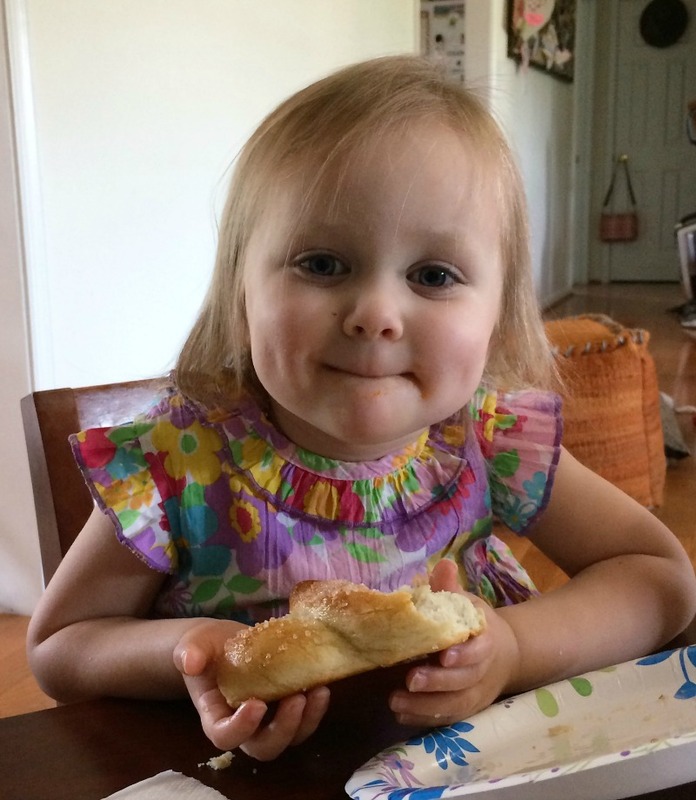 Baking together and eating the rewards is something I love to do with my grandchildren. 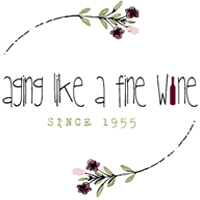 Thank you for reading and sharing! Those look amazing and so much fun to share the making with the kiddies. Thanks for sharing this #BloggingGrandmothersLinkParty. I will share on social media. Your grandbabies are precious! Going to have to try the recipe. Thanks Teresa for linking up and co-hosting at the #BloggingGrandmothersLinkParty. I shared this post. Thank you Dee! They are definitely my little cutie pies!